The Dartmoor is native to the West Country, in particular Devon; consequently, it is a robust animal that can withstand the harsh winters around the moors. Snowdrifts are no problem for this hardy beast. 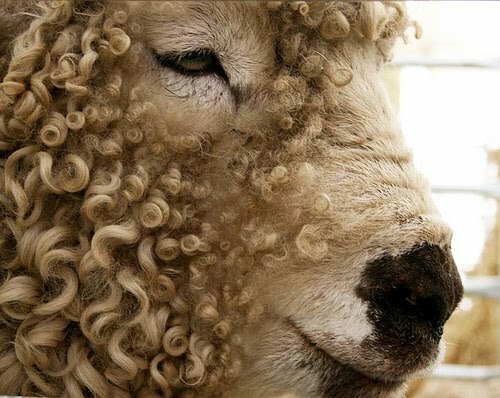 Tending to be medium-sized, short-legged, and hornless, the Greyface Dartmoor, a Lustre and Longwool sheep, will typically yield a clip of 7-15 kg. The legs and head tend to be well-wooled and the white face will be mottled with black and gray. 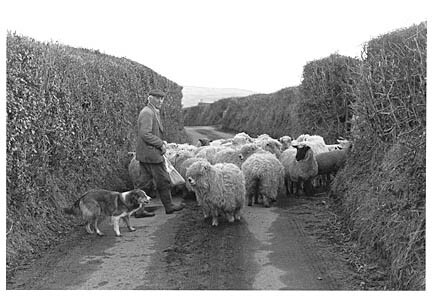 The wool is used in the production of tweeds, blankets, woolen cloths, and carpets. Fundamental, masculine and sophisticated, as well as slightly wry. Thank you, Anonymous, for your extremely kind words.